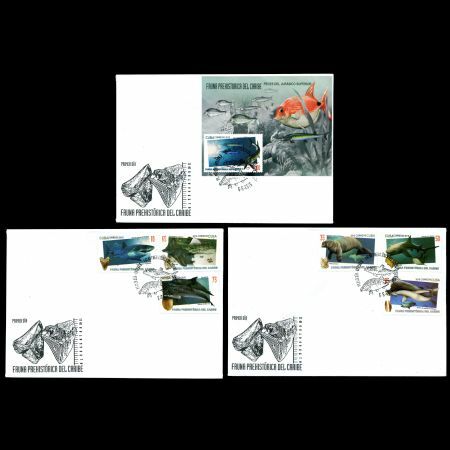 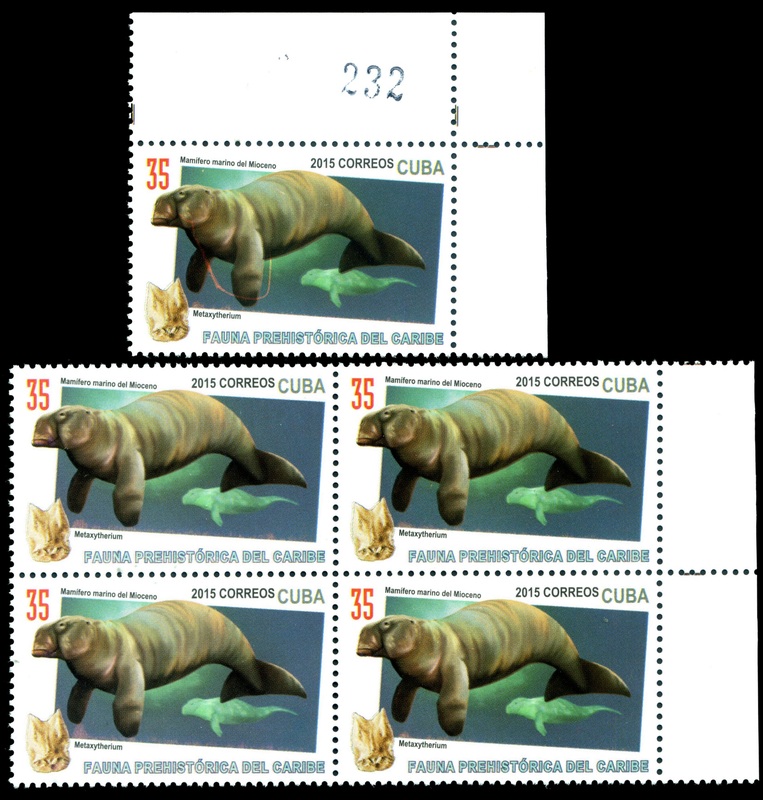 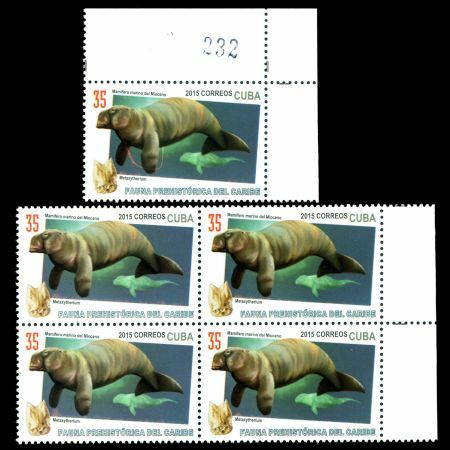 Cuba 2015 "Prehistoric animals of Caribbean"
According to stamp issue plan this set should be issued on May 6, the date at postmark of FDC, but as it often happened in Cuba its delayed by several months. 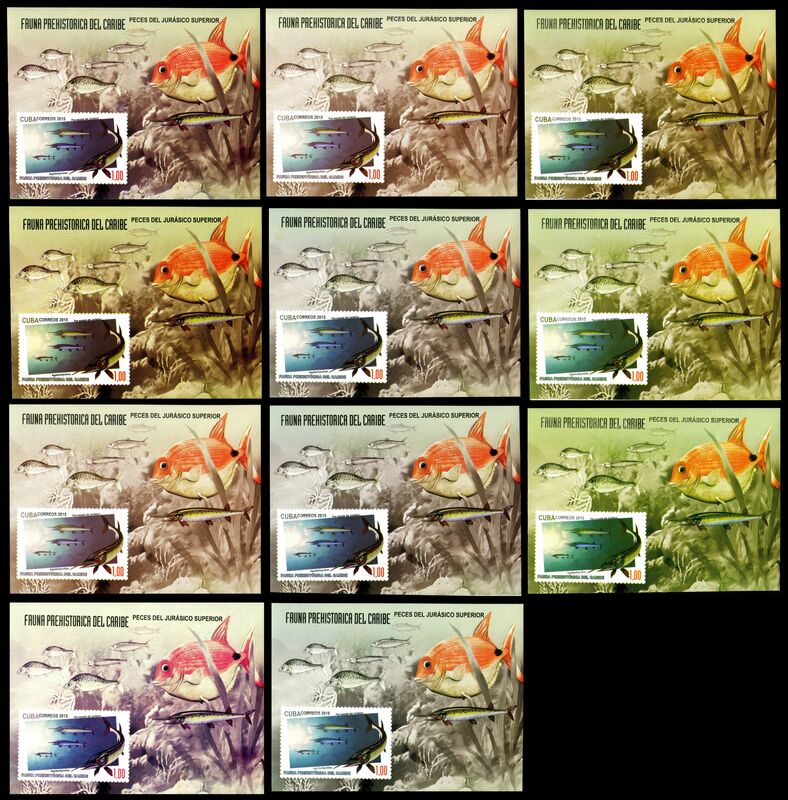 First time its arrived post offices at the end of September 2015. 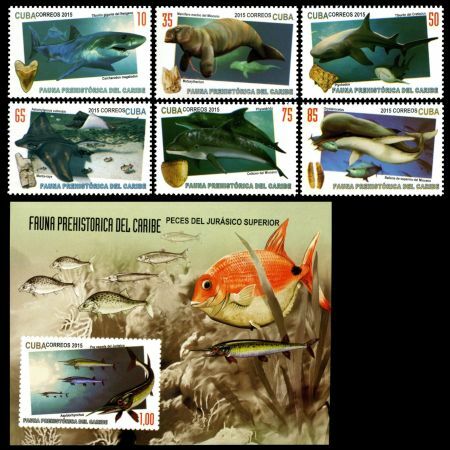 Similar to set of 2013 (Gigant Reptilies of the Caribbean), this set shows some prehistoric fauna of Caribbean region, but shows marine animals only: Carcharodon megalodon, Metaxytherium, Ptychodus, Aetomylaeus cubensis, Physeteridae, Orycterocetus and Aspidorhynchus on a block. 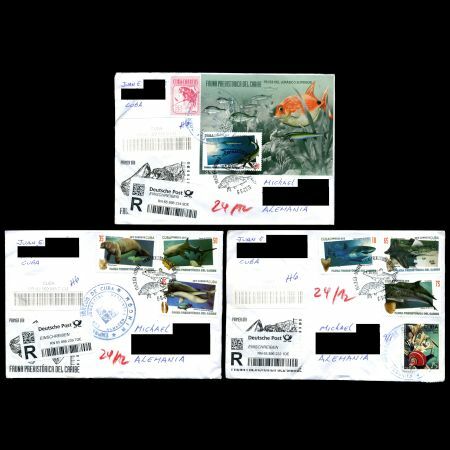 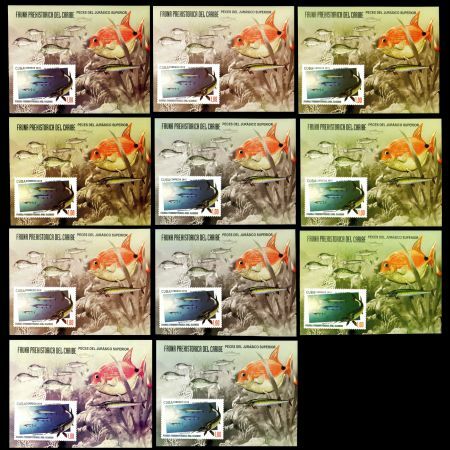 Note: due to poor quality of a printer equipment many color variations and errors as well as imperforated stamps are exist.